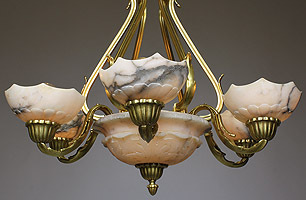 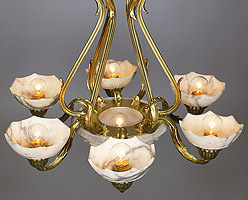 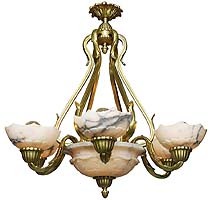 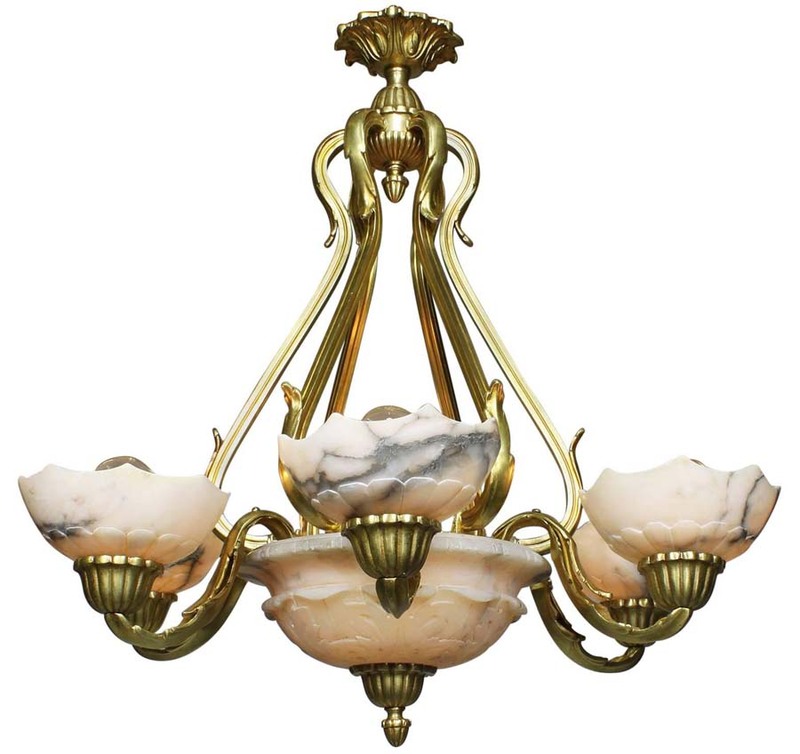 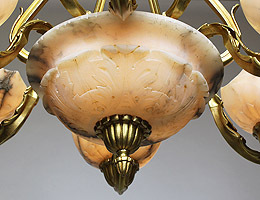 A French Early 20th Century Art-Deco Gilt-Bronze and Carved Veined Alabaster Seven-Light Chandelier. 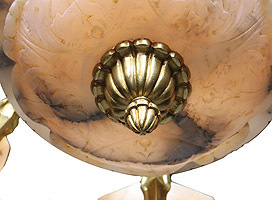 The carved circular veined alabaster plafonnier surmounted with six scrolled arms, each with carved alabaster cup-shades, all suspended with six scrolled gilt-metal supports below and finial with rosette. 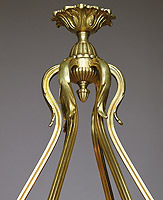 Circa: Paris, 1920's.